The Ice Boxx Deluxe dome hockey comes with leg levelers, high tensile rods, a laminate play surface, 1" thick cabinet and 16" apron. 52"L x 36"W x 43"H and weighs 230 pounds. The Ice Boxx dome hockey is commercial-grade fun designed for your home. Built to last and make lasting memories. 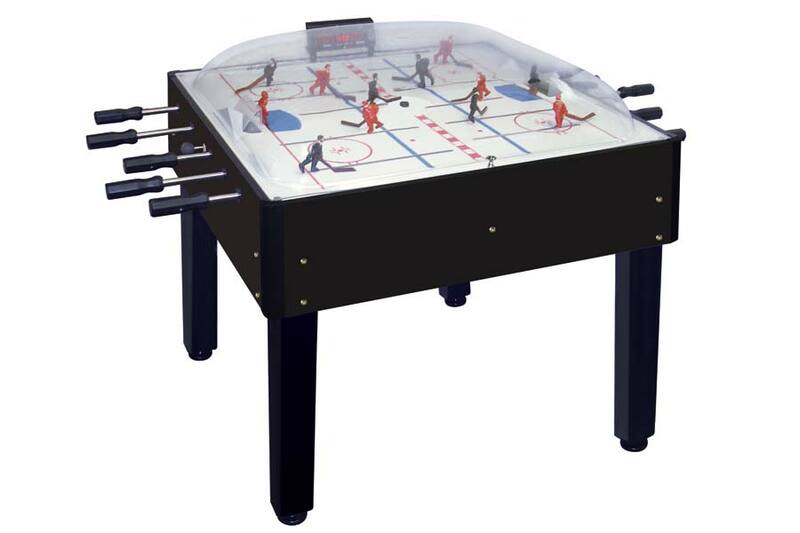 It may look a little different than a classic “bubble hockey” but the Ice Boxx is the real deal. Hockey fans love it, children love it, fun people love it. This game is the perfect addition to your game room.